“Earlier I was a little bit agitated, I was not able to absorb easily the information I was receiving at school, my grades were not the best ones, but after I have started practicing TM I am feeling calmer, much more focused, I like very much the practice and I would invite all students to practice the Transcendental Meditation.” – student Joana from Alberto Iria school in Portugal told during the seminar on “Social Inclusion and Tolerance. The psychological and social benefits of the Quiet Time with Transcendental Meditation Programme for schools”. A seminar took place on the 19th of October 2018 at the University of Algarve, Faculty of Human and Social Sciences in Faro, Portugal and was attended by the EUROPE project team, principals, teachers and students who have experienced or are willing to explore the Quiet Time based on Transcendental Meditation Programme approach. 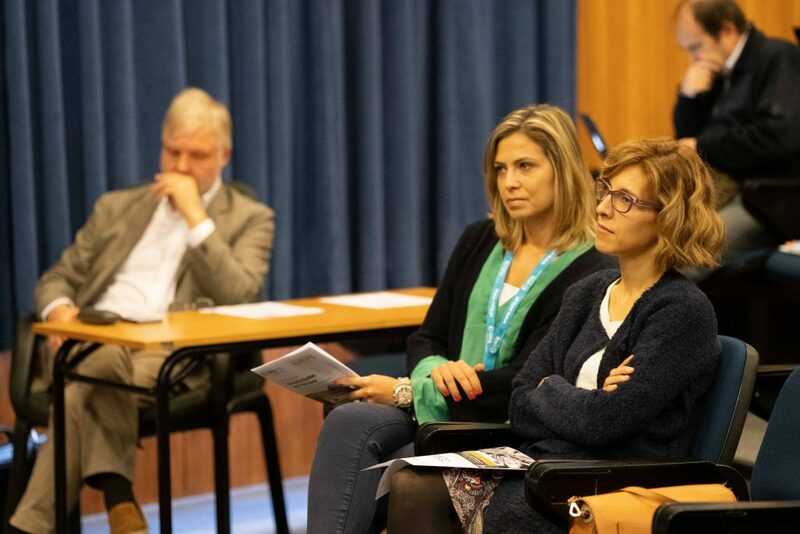 The seminar presented the results and impact of the EUROPE project (Ensuring Unity and Respect as Outcomes for the People of Europe) that is coordinated by Foundation Villa Montesca and co-funded by the Erasmus+ Programme of the European Union. The EUROPE project introduced an innovative approach to improve social inclusion, reduce violence, suspensions and drop-out rates of students and burn-out of teachers. 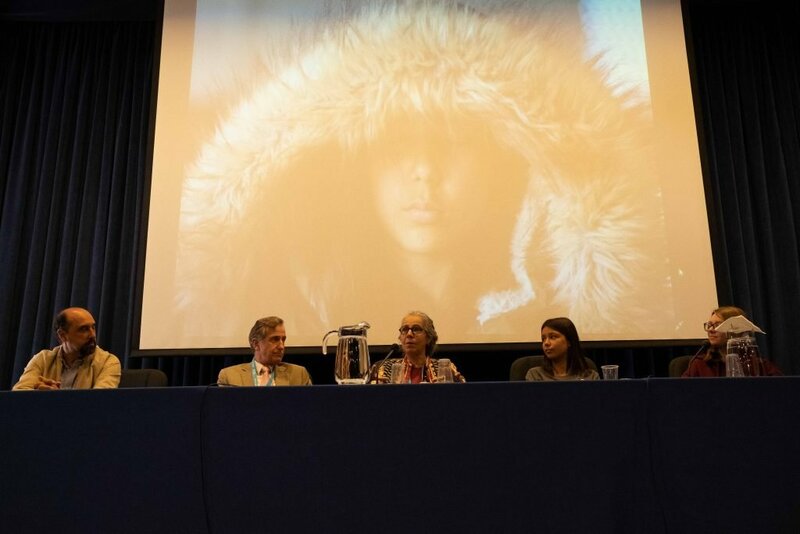 The approach was implemented in the schools across Portugal, Sweden and the Netherlands. Teachers were trained in the framework of the project and the Quiet Time/TM approach was included into the school curricula. Students were engaged in Quiet Time moments for 15 minutes at the beginning and 15 minutes at the end of the school day. EUROPE project partners (University of Algarve and Utrecht University of Applied Sciences) have implemented the qualitative and quantitative research evaluation with the students, teachers and parents to understand the effects of the Quiet Time/TM approach. The students belonging to the Control Group and the Transcendental Meditation group (both involved in the Quiet Time/TM programme) where tested before starting with Transcendental Meditation and after three months, before the control group started and the results were compared. The results were strongly correlated with the frequency of meditation. Children with higher frequency of meditation showed more significant improvement in these psychological characteristics, compared to children who learned the technique but did not meditate or meditated only infrequently. For the teachers, preliminary results showed lower anxiety and stress levels, decreased negative effects (afraid, nervousness) and emotional exhaustion, compared to higher job satisfaction, higher positive effects (enthusiasm, interested…), personal accomplishment and psychological well-being (Vieira, Vieira dos Santos, & Gomes, 2018). The analysis of the results will be continued looking deeper into such aspects as the school climate, grades and suspension rates. We will update you on what will be discovered! “Meditation helped me to have more control over myself. 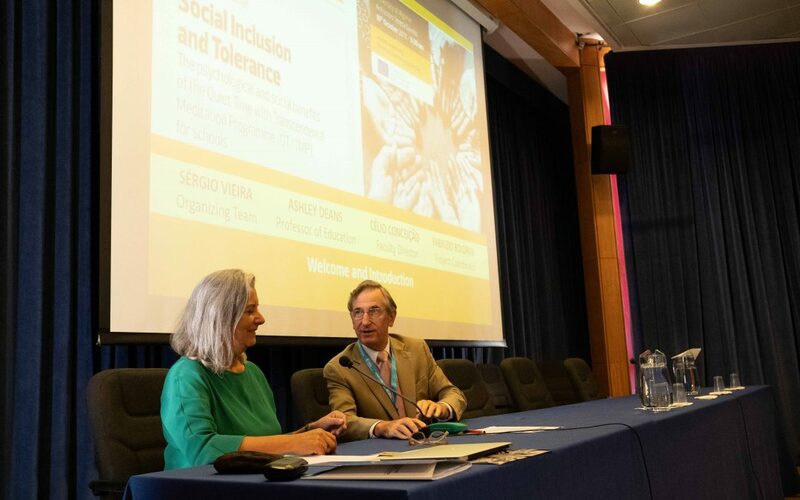 I believe everyone should try it!” – student Nuria expressed during the seminar on social inclusion and tolerance, so why don’t we try simple solutions to respond to great problems and start with a change within ourselves? Look at the EUROPE website (europe-project.org), follow us on EUROPE Facebook, send an email to Mrs Nicoleta Susanu at europrojects@montesca.it to learn more about the project and activities implemented in schools across Europe. And the most important – do forget to attend EUROPE Final conference that will be held in Brussels on the 29th of November 2018.